Finally, Energica Motor Company, an Italian electric motorcycle manufacturer officially released the half-naked design of the production version of the Energica Eva. 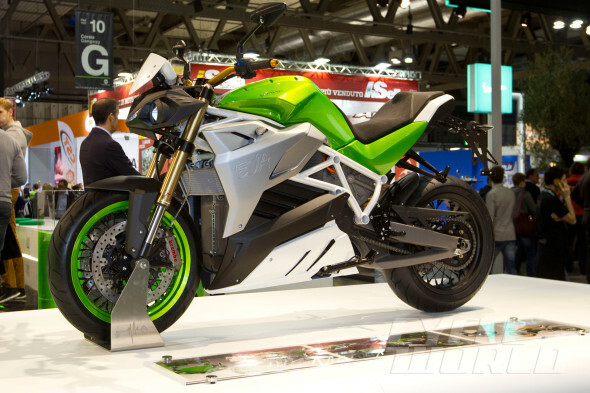 Just a reminder, that Energica Eva is an electric naked bikes that is capable of generating power up to 95 hp with a torque of 170 nm. 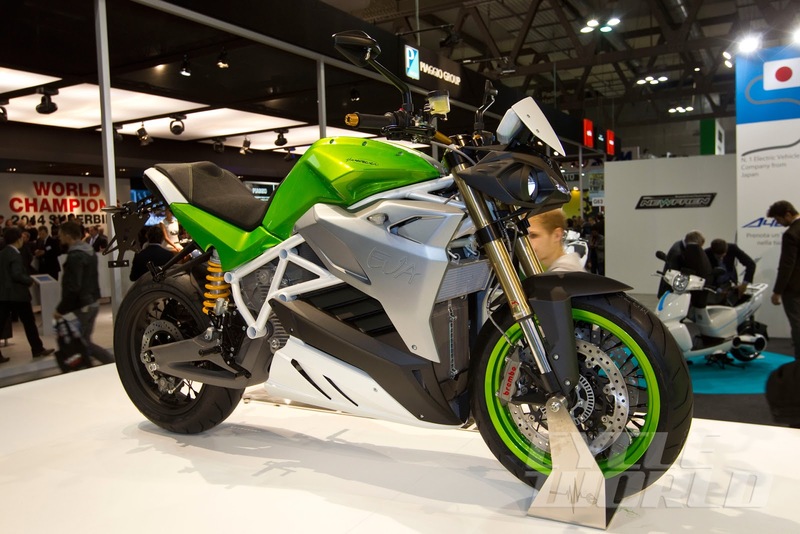 The Italian-made electric motorcycle will also be equipped with an electric battery that is capable of making it reachs a distances up to 200 km with a single recharge in Eco riding mode. Not only that, Energica Eva also able to develop a speed of up to 200 kph in Sport riding mode and mechanisms of ride-by-wire. Eva will also be equipped with the Vehicle Control Unit feature that capable to monitor the energy capacity of the battery, the battery charger process to the ABS brakes. The motor is powered by a 11.7 kWh battery with 1,200 charging cycles and takes 3.5 hours to recharge. An integrated fast charge system will charge the battery to 80% in 30 minutes if plugged into a 60amp outlet. And the Italian naked bike will also be available in two colors, namely Electric Green and Dark Blue. Energica Eva has four riding modes, ie the ECO, URBAN, RAIN, and SPORT. And the Italian electric motors will also be equipped with four regenerative braking system which is embedded in the electric motor, namely Low, Medium, High and Off.